Studio(s): New Line Cinema, Bluegrass Films, Principato-Young Entertainment, Warner Bros. Cast: Dwayne Johnson (Bob), Kevin Hart, Aaron Paul, Brett Azar (Agent Wally), Danielle Nicolet, Amy Ryan, Bobby Brown (Gooch Coochie). 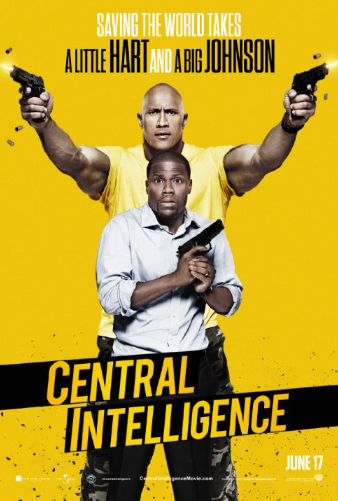 Story: Central Intelligence stars Dwayne Johnson as a former high school loser turned CIA operative who returns home for his class reunion, where he enlists the help of a former high school sports star — in a classified CIA mission. Kevin Hart plays an accountant who was a big deal in high school. As the class reunion approaches, he’s contacted by a former classmate, Bob (Johnson), who was picked on back in the day. The former “loser” is now a CIA contract killer, and he gets Hart’s character involved in a plan to stop a sale of classified military secrets. Source(s): Slashfilm; IMDB.